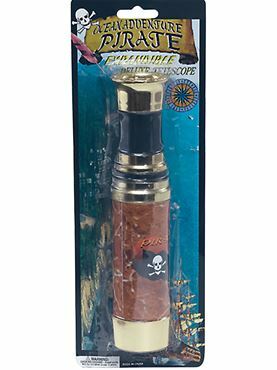 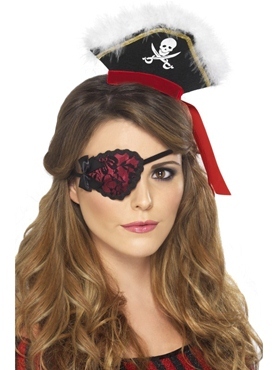 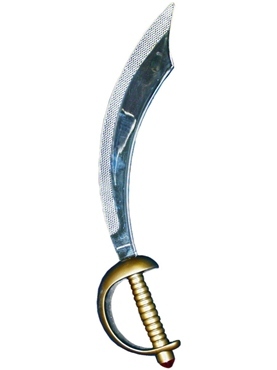 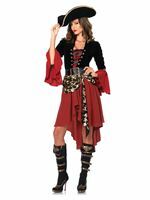 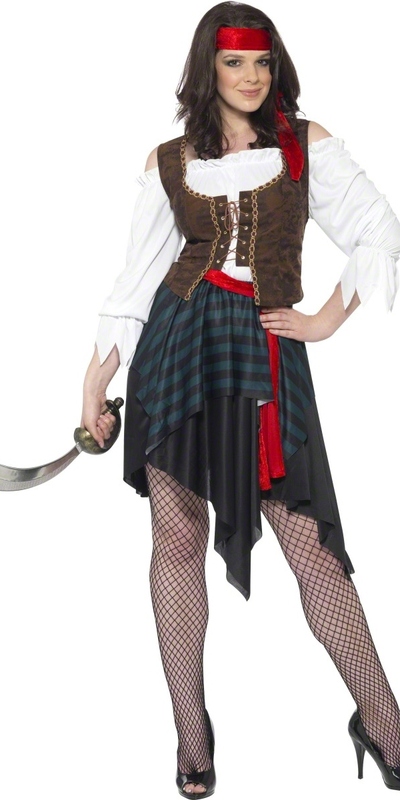 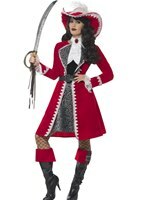 Our Adult Pirate Lady Costume comes complete with Shirt with attached Waistcoat, Skirt, Belt and Headband. 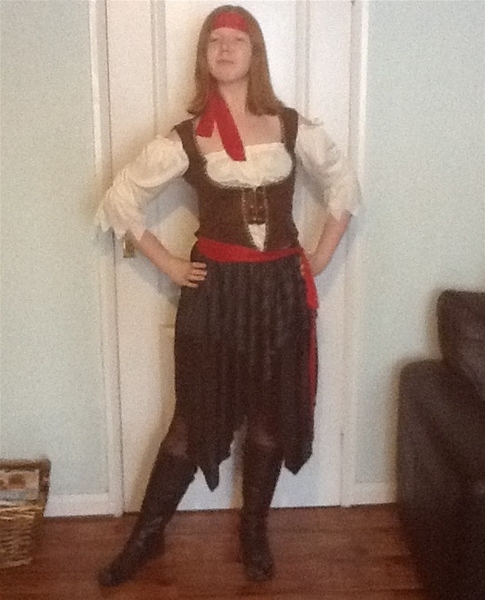 Please note that the Waistcoat on the Top appears Slightly Shorter than the Image suggests. 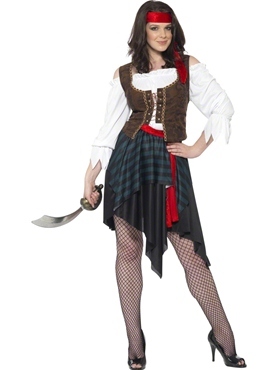 Comfortable, stylish, will look perfect for my university pirate party!